1. 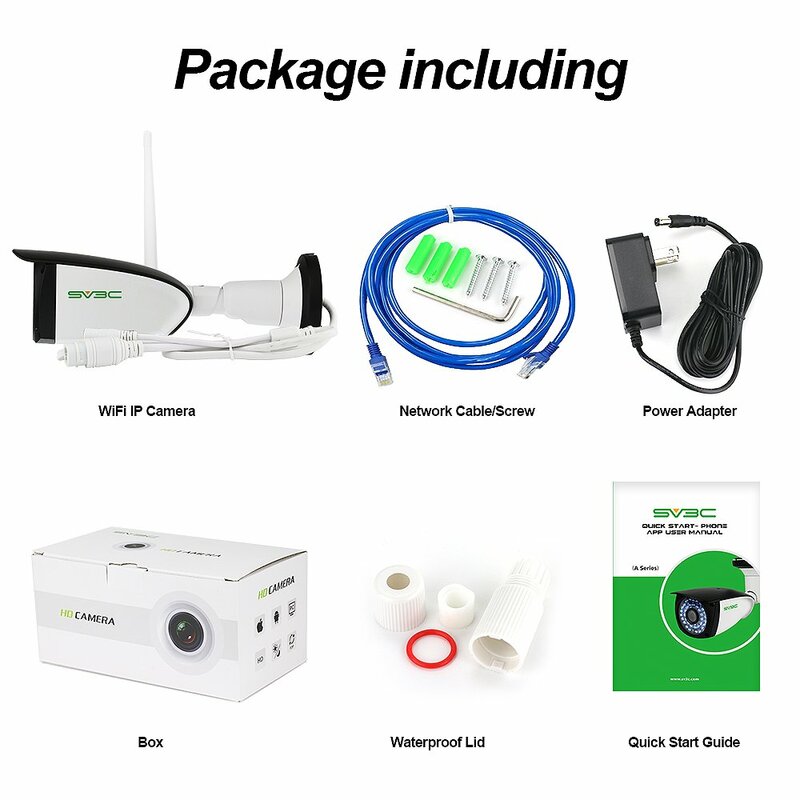 The outdoor wifi camera only works with 2.4GHZ wifi, doesn't work with 5g wifi! 2. It is WiFi wireless camera, but need to be plugged into a power source to work! 3. PC Client and Search Tool softwares don't work with MAC OS. But you can view the security camera on browser by the IP address. 4. 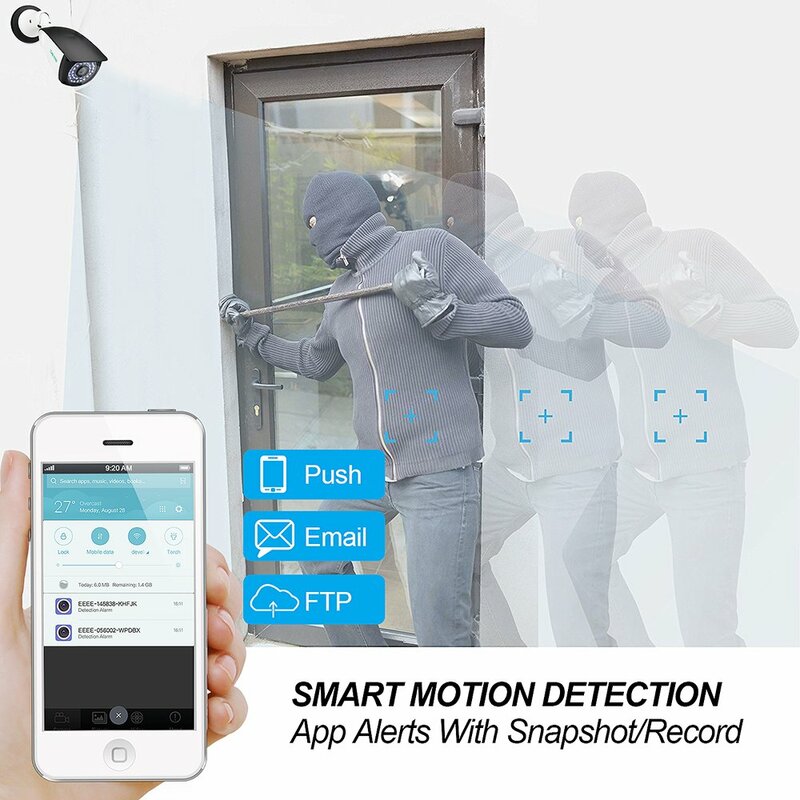 No need to scan QR code to install the wifi camera, please install the security camera through LAN Search according to the instructions! 5. About the SD card, Please use SD-micro Class-10, UHS-1 or higher high speed memory card, it should be designed for surveillance camera, recommend this one, please search B00V5Q1K3O on Amazon to find it! 1. 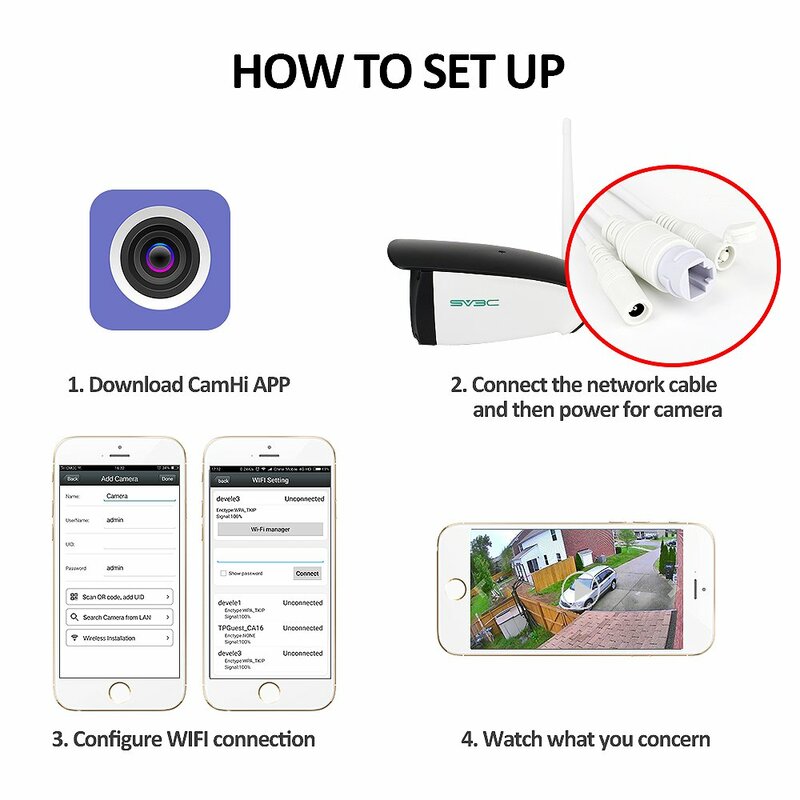 Easy installation: Please download CamHi app from Apple Store for iPhone and from Google Play for Android phone. 2. 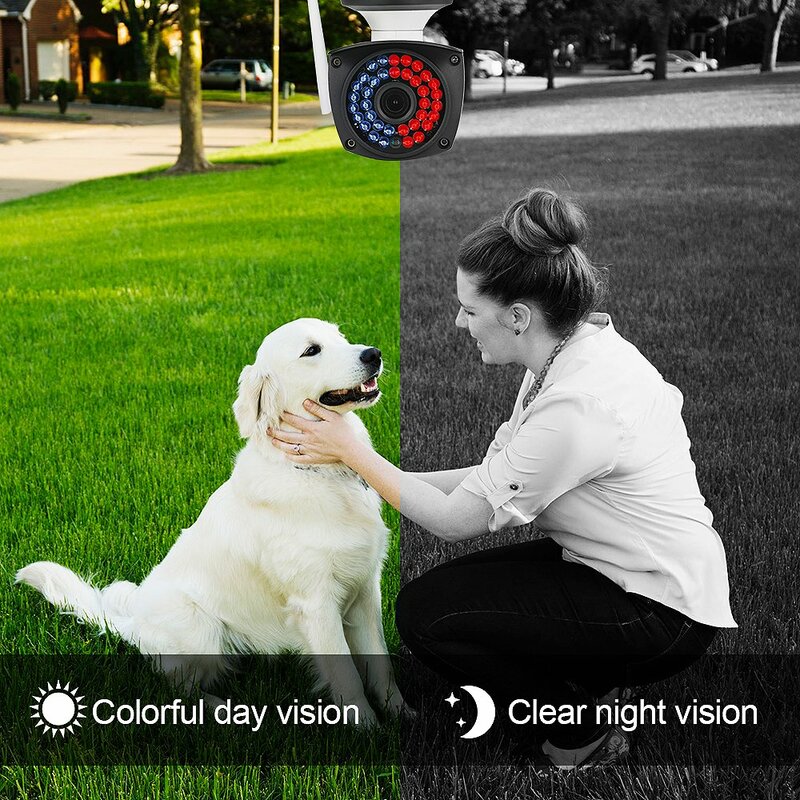 Night vision: This outdoor wifi camera can monitor your home or business clearly and easily whether it's night or day. 3. 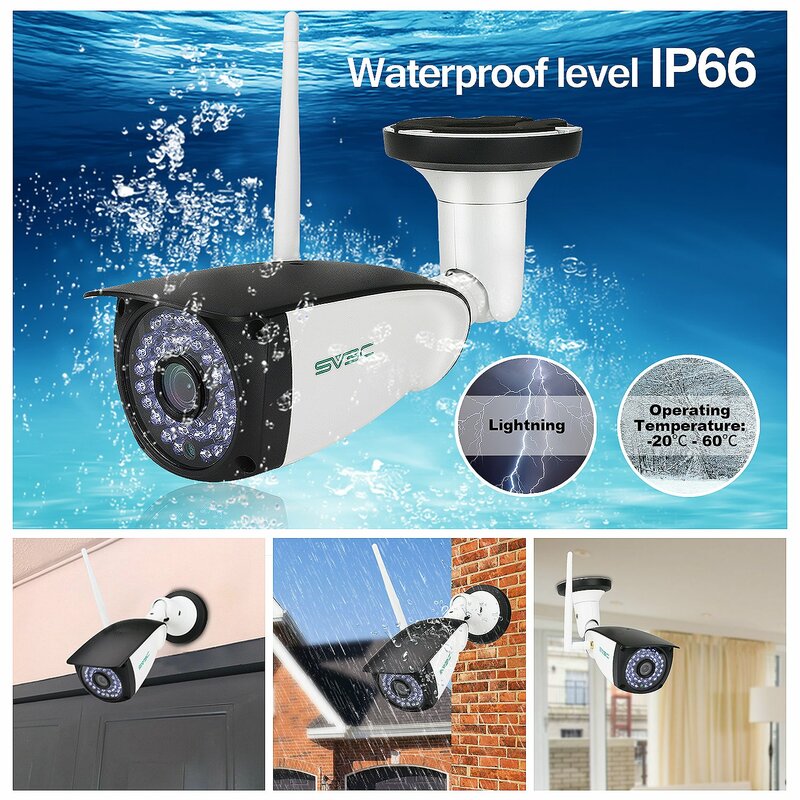 Weatherproof: This wifi security camera was made by steady aluminum with exquisite workmanship. It is durable enough for using both outdoor and indoor. 4. ONVIF Support: The IP camera is interoperable with all sorts of ONVIF-conformant IP security products. 1080p Outdoor PTZ Camera,Pan Tilt Zoom (5X Optical Zoom), IP66 Waterproof,Dome Camera With Audio, Support 128g SD Card. Great cameras Love these cameras. They are worth every penny. The Best Cam I Have I've had numerous security cams over the years, all of which have been the low end under $100 Chinese wanna-bes. None of them even come close to the quality and features of this SV3C product. This is true 1080 quality and the night performance is excellent as well. It works with BluIris and is very ready to setup. Become a Sv3cdeals Insider and get 4% off your order today. Plus we'll keep you up-to-date with the latest theme news. © 2019 SV3CDEALS. All rights reserved.